Tic Tac Trance #044 Replay available! 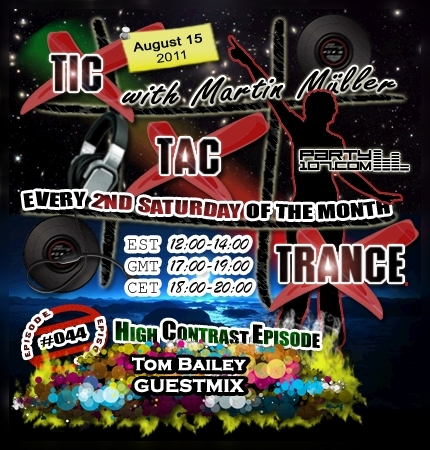 On August 15, this time on a Monday, episode #044 of Tic Tac Trance will air on Party107.com! I’m glad to announce that Tom Bailey will introduce this episode with his guestmix. He has prepared a more slower, progressive side of electronic dance music for the first half of my show. My own trance set in the second half of the show will feature a very bangin & uplifting selection of my current favorite tunes and tracks which have been suggested directly at my Facebook page. Expect a very high contrast, musical 2 hours journey!